Ducati India has started accepting bookings for an amount of Rs 1 lakh for the Ducati Multistrada 1200. 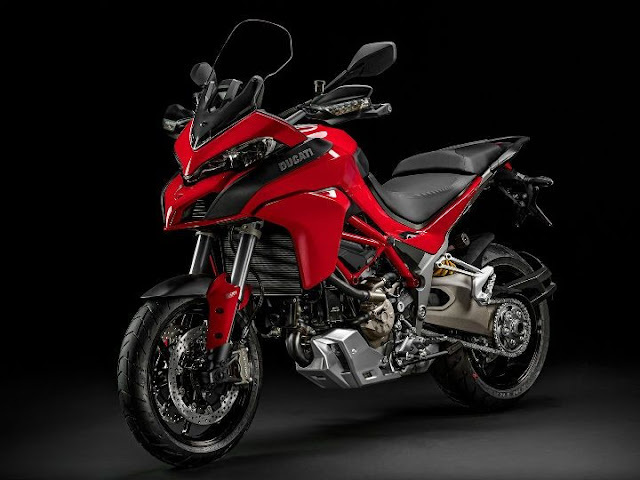 The Ducati Multistrada 1200 will be available from November 2015 and is expected to start at around Rs 17 lakh ex-showroom. The bike is not available at dealerships and individual units will be imported based on demand and bookings. The Ducati Multistrada 1200 is powered by the Ducati Testastretta DVT, equipped with Desmodromic Valve Variable Timing (DVT). The 1198cc L-twin DVT makes 160PS of power at 9,500rpm and almost 136Nm of torque at 7,500rpm. Drive is through a wet, slipper-type clutch. The Multistrada 1200 comes equipped with cornering ABS, Ducati Traction Control (DTC), Ducati Wheelie Control (DWC), four-mode Ride-by-Wire and the latest Ducati Skyhook suspension, which is standard on the Multistrada S version. The Multistrada S also features a new full-LED headlight with corner lighting technology.